This was a very interesting book, I love how it goes into details about how tv and video corrupts the minds of our children. From what I gathered was that it starts at a young age and the more they get into the tv and games they get the images and ideas. 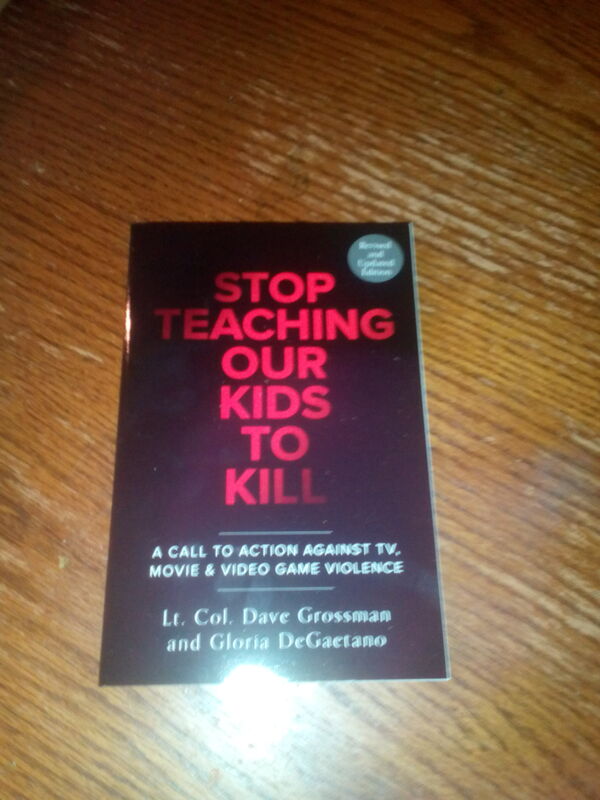 I am a mother of 3 and I dont let my children watch or playing anything that is violence. If they want to see a movie depending on the rating my husband and I will watch it first. If we want to watch a movie with a violent rating we wait until they fall asleep or at school. We won’t even watch that type of movie or play a game with our 4 month old due to that is the age their brains start to develop more. This book gives ideas on how to prepare them and let them know what is wrong and right for them. But as a mom I don’t blame just the movies and games. I blame the government because they constantly talk about war on guns and terrorists. Also if a child lives in a abusive home they see it there and think its okay. This is a stereotype discussion and controversy. I may be a unbiased reviewer, but this subject is a touch and go. I mean blaming the tv and games for childrens actions in not right at all. I feel that some children are bullied, or they have genetic mental health, but to put all the blame on tv and games is just not right. This is my opinion and how I feel!!! I received the book free for exchange of this review.